Cost is always a concern when it comes to water pump rentals. 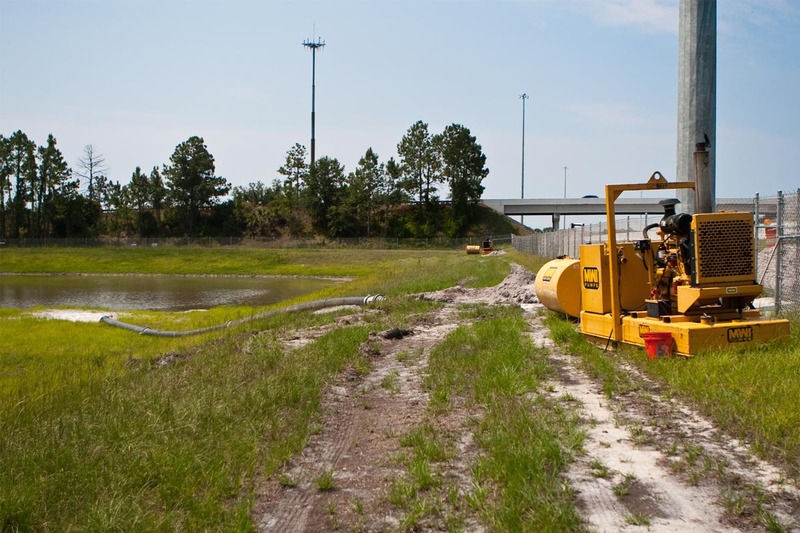 At MWI, we provide our customers with the most cost-effective solutions in the industry. We entered the water pump rental market in 1969 using our own designs to bring people the quality pumps they need. 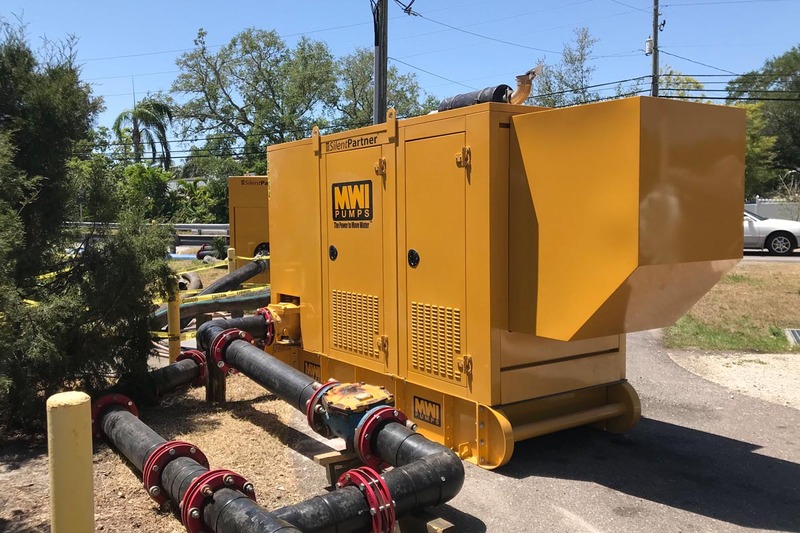 Today, we continue to manufacture and sell low to high volume / high-GPM water pumps, hydraulically driven trash pumps (Duraflo™), rotary wellpoint pumps (Rotoflo™), and self-priming dewatering pumps (Primerite™). Our axial and mixed flow high-GPM water pumps are available from 2,000 GPM to 1,000,000 GPM with 2-foot to 100-foot heads. We’re proud of our reputation– that’s why we thoroughly test every pump for quality before it goes out on the job. Even with all these features, MWI can still offer the lowest prices per application. When your equipment goes down, everyone on the jobsite is affected and we’re here to help. We understand that when deadlines are placed in jeopardy, your reputation is on the line. That’s why we offer a 24-hour emergency service on all of our pump systems and have a dedicated in-house repair center in Vero Beach. We are also a registered John Deere distributor and authorized warranty center. NEED MORE INFORMATION, NEED TO PURCHASE OR RENT A WATER PUMP, OR NEED ASSISTANCE? 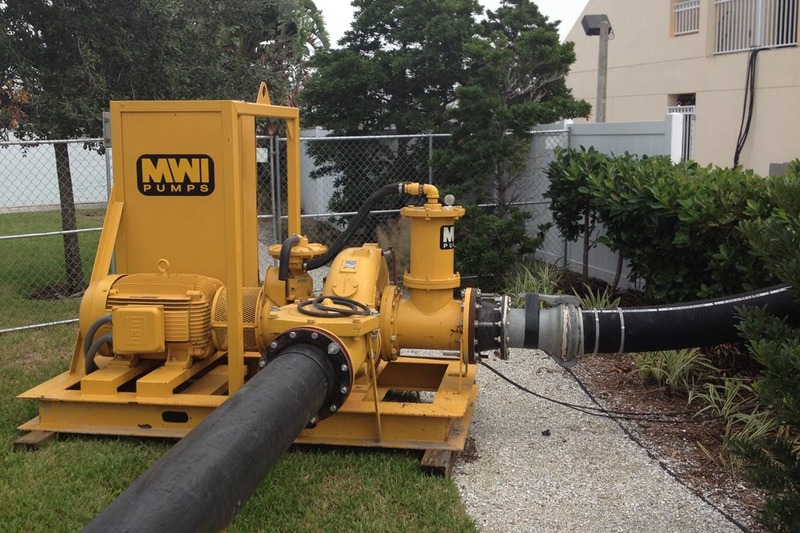 Please take a moment to fill out the water pump rental Form to contact MWI Pumps for all your Rental Pump needs. We will be in contact with you as soon as possible. If you aren’t sure which product you need, it is still okay to fill out the form; just be sure to let us know in your message. If you do not hear from us within 48 hours, please contact us directly at 772-770-0004.